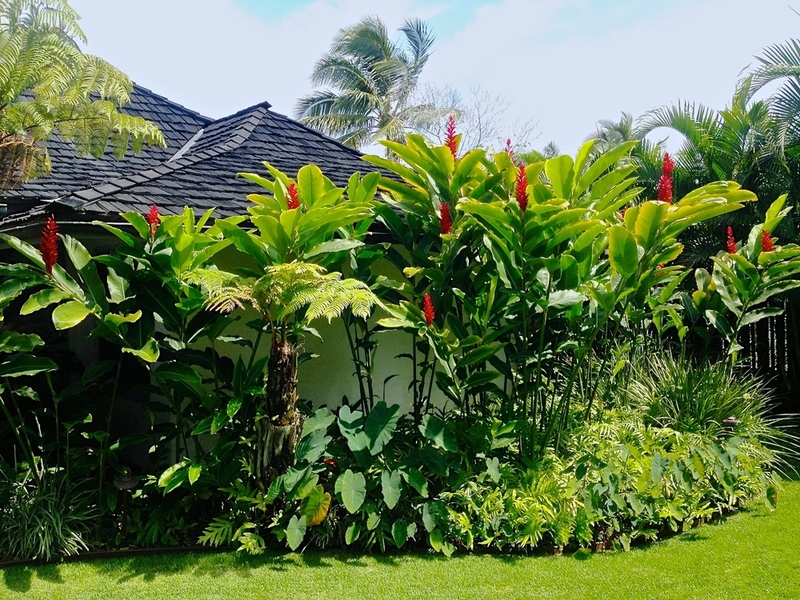 Pua Lani offers design, installation and maintenance services for both interior and exterior landscape areas. Since 1981, our design-build firm continually exceeds our clients' expectations; routinely transforming everyday spaces into extraordinary and authentic environments. Within our thirty-year history we have developed a sterling reputation founded upon unrivaled knowledge and ability, relentless execution and outstanding customer service. We humbly invite you to become a part of the Pua Lani family, and discover why our clients' trust and loyalty is well placed. With licensed landscape architects and designers on staff, we are more than capable of extrapolating any custom design that takes into account client vision, scale, budget and the surrounding environment. We are a design-build firm, offering streamlined collaboration throughout the project life cycle. As our client's needs change, we are well positioned to adjust the design and installation accordingly. Our projects are designed and installed using the finest selected materials to respond to the aesthetics, functionality and maintenance concerns of the site while creating unique and inspiring spaces. Throughout each project we work closely with our clients to ensure we exceed their expectations. We hold true to our reputation of completing our projects on time and within budget. We handle the full spectrum of our clients' maintenance needs from small residential to large-scale commercial properties. Our workforce employs a deep knowledge of local horticulture specific to Hawaii's unique microclimates. Respect for our clients' privacy is paramount and we take great pride in their gratitude for both our product and the manner in which we accomplish our services. PUA LANI LANDSCAPE DESIGN, INC.